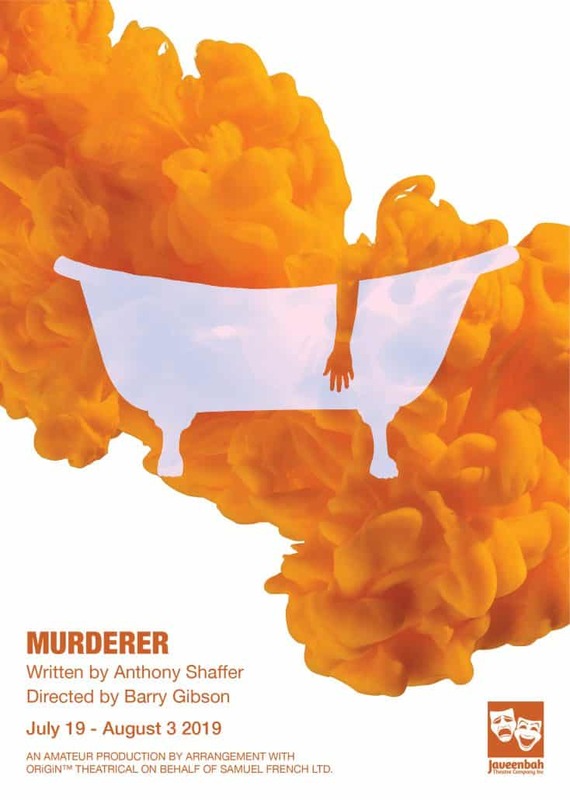 ‘Murderer’, like its predecessor ‘Sleuth’, is on the surface another of Anthony Shaffer’s sizzling thrillers. Opening with one of the most horrifying scenes ever devised for the stage, the play unfolds. Constantly shifting, twisting, beguiling and witty; it’s a compelling drama, forever shunning the obvious and culminating in a terrifying climax. Shaffer explores the very nature of murder, examining the peculiar relationship between murderer and victim. His portrayal of Bartholomew looks into what murder is all about – why are we so attracted to this foul and unnatural act?